A custom snow globe is a perfect gift idea. 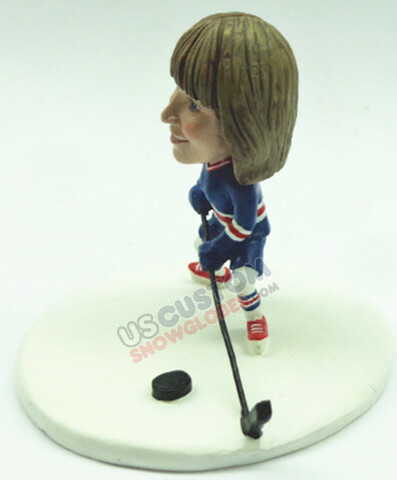 This snow globe features a Female hockey player model sgf3049. In an action pose, she is ready to hit the puck and obtain a goal. This uniform can be changed to any colors or even adding logos, name and number to the back. The option to change colors allows all those items to be included.